Roku has released details of its five new players, with two offering HD and 4K, and two adding HDR. At the bottom end of the new line-up, Roku launched its tiniest streaming player yet; the new Roku Express offers 1080p HD streaming for $29.99. For those who seek the capability to stream 4K Ultra HD up to 60 frames per second (fps), there are the new Roku Premiere and Roku Premiere+, with Roku Premiere+ also supporting HDR. The high end model is Roku Ultra, which includes support for HDR, Dolby Digital Plus decode, voice search and lost remote finder. “Roku stands for streaming innovation and today we’re celebrating the biggest player launch in our company’s history, including the introduction of the Roku Express player which delivers a complete streaming experience for a shockingly low price of $29.99,” said Anthony Wood, Roku Founder and CEO. “Roku’s new product lineup aggressively shakes up the streaming player status quo and will cause competitive positioning issues for Google, Amazon, and Apple,” according to Paul Erickson, senior analyst at IHS Technology. 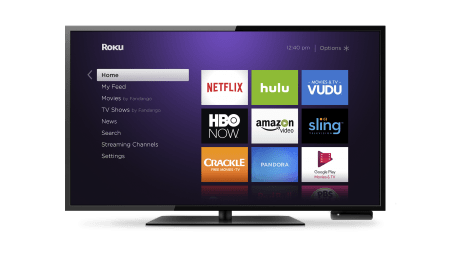 “Roku’s latest product line refresh is an overhaul of the company’s long-held product naming scheme and price/product tiers along two main vectors – affordability and picture quality. The revision is well-timed, given the rapid drop in 4K TV set pricing and increased competition in the streaming video device market. The company’s steady success in the mainstream consumer streaming media device market and the service provider market has seemingly emboldened the company to expand both its platform’s capabilities as well as its product line depth. “Roku has one-upped Amazon and now leads in cross-content search with support for more than 100 sources – a tripling compared to last year. Combined with the deepest content access in the category (over 3,500 channels), Roku has strengthened the agnostic, consumption-first position that has become the company’s trademark. “At the low end, Roku’s new $29 Express model is expected to cause an eventual pricing and positioning reset for Google’s Chromecast and Amazon’s Fire TV Stick. The previous bar for full standalone functionality was $39 for Fire TV Stick, with Chromecast offering basic enablement via casting for $35. The new Roku Express significantly drops the cost of entry for full standalone functionality and will undoubtedly exert pressure on Google to drop the price of the casting-only Chromecast to price parity or below. Amazon is also expected to respond competitively with Fire TV stick pricing, either with a drop in regular price or more aggressive Amazon Prime member specials, to avoid a significant price gap with a competitor offering. “At the opposite end of the spectrum, Roku has also dropped the cost of entry for both 4K and HDR support. This will cause positioning concerns for Amazon’s Fire TV, which offers 4K at a higher price than Roku Premiere, and lacks HDR support at the same price tier as Roku’s Premiere+. All of Roku’s 4K models deliver 4K at 60 frames per second, which Fire TV is also incapable of. “While Apple’s $149 Apple TV enjoys innately strong and largely price-insensitive traction with the iOS device user base, Roku’s delivery of both 4K and HDR at price points lower than today’s 4th generation Apple TV will draw consumer attention to the lack of both in Apple’s offering. Apple may thus adjust its current Apple TV pricing scheme downward earlier than planned once channel inventory of the previous 3rd generation Apple TV is finally exhausted. “With this new lineup, though added midrange and high end depth will address the growing 4K TV set market, Roku’s most disruptive product in the new lineup is undoubtedly the new entry-level Express model. Chromecast’s low price, despite not being a standalone product, propelled it to become the most popular-selling streaming device in the world. With that as background, it is expected that Roku Express’ delivery of full standalone capability at an even lower price point will result in a strong consumer response. “Due to Chromecast’s proven success in low cost streaming enablement at $35, and Roku Express’ offering of true standalone functionality at an even lower price, consumer response this year-end holiday season is expected to be very positive. This strong increase in low-end model demand upgrades IHS Technology forecasts for Roku to 14 million units shipping in 2016, steadily growing to 20.4 million shipping in 2020. This places Roku ahead of Apple TV’s global shipments of 11.8 million units in 2016, and behind Chromecast at 17 million units for the year. “With this reshuffle of the streaming video device market’s deepest deck, the next weeks and months will bear watching to observe what changes in pricing and positioning Apple, Google, and Amazon make in response to Roku’s new lineup. Should Google launch a new Chromecast, its pricing will be of particular importance in light of Roku’s new assault on the market at price bands both above and below today’s $35 Chromecast. “The price of Roku’s extensive new range of products is potential consumer confusion. Roku’s challenge with its new, deeper lineup will be clearly communicating to consumers both differentiation and purchase justification for each product in the new line. Without this, consumers may find the depth of choices difficult to navigate when figuring out which product best suits their needs.